Teyu’s entire career was driven by this same piece of advice, coupled with his constant desire to be challenged and to learn something new. His first job, when he was 21, was as a branch manager at a local bank. The job was stable and comfortable, but Teyu wanted to stretch himself further. Subsequently, he joined Phillip Securities as a management trainee on January 14, 1998, a date he has committed to memory. With Phillip Securities, Teyu was exposed to the workings of the stock broking business, from financing, to back office operations, and POEMS (Phillip’s Online Electronic Mart System) the pioneering online trading platform in Singapore. Once he was familiar with Phillip Securities, an opportunity opened up for him to join Phillip Futures. Keen for a new challenge, Teyu decided to make the switch. The change opened him up to a whole different trading environment. From local equity markets operating 9 to 5, he was thrown into a global 24-hour trading environment, and he took the opportunity, as a management trainee once again, to learn about futures trading. He became the director of Phillip Futures in 2006, and has helmed the business since. Phillip Futures was established in 1983, as one of the founding clearing members of the Singapore Exchange Derivatives Trading (SGX-DT). Under Teyu’s leadership, the group has consistently been looking at ways to expand its business, while providing added value to its customers. When CME (Chicago Mercantile Exchange) Group set up its very first telecommunications hub in Singapore in 2005, Phillip Futures was among the first three companies to tap into the CME Globex electronic trading platform. Under Teyu’s supervision, Phillip Futures has moved from a largely Singapore based company to one with a much bigger scope and scale. Singapore forms a small part of Phillip Futures’ total trading volumes, with the rest coming from outside of the country. Retail business represents a mere portion of overall volume. Majority of its business comes from institutional investors, financial institutions and professional traders as well as companies doing physical hedging. The group currently holds 27 clearing memberships, the most number of any brokerage in the region, including clearing memberships in US, Japan, Hong Kong, Thailand, Singapore, Malaysia, Indonesia, India, and Dubai. One of the things Phillip Futures has done, which stands out from its local peers, is its adoption of the MetaTrader 5 trading platform while others continue to trade on the MT4. However, staying ahead of the competition goes far beyond introducing a new popular trading platform. Phillip Futures has had to look inward to improve its business processes, in order to increase productivity, reduce operational costs and human error. Teyu points out that financial companies in Singapore like Phillip Futures have to follow strict Know-Your-Customer (KYC) and Anti-Money Laundering (AML) compliance guidelines set by MAS. These checks prevent Phillip Futures from allowing immediate account openings. For now, the group has already automated the rest of the process, from building an online account opening form, and integrating it with an online payment system that provides automatic currency conversion. “Faced with this margin compression, how do we change the processes, such that we reduce the supporting cost to a bare minimum? I will say it is still a work in progress. And there’s more that we need to automate,” says Teyu. For someone who is so familiar with the business of forex and futures, Teyu doesn’t trade either of them. And neither does his team at Phillip Futures. So what stocks does he invest in? Teyu tells ZUU online that he invests in agricultural stocks like Wilmar International because of its strategic position in the industry. Wilmar has a market leading position in edible oils refining in countries like Indonesia, Malaysia, and China, and is also the largest producer of consumer packed oils in India, Indonesia and Africa. “Since I am going to spend so much on dental expenses, I believe they are going to make money. And hopefully, maybe I will have some dividends or some capital gains that can help me pay for the expenses I will potentially incur for my four kids,” he said laughing. Teyu’s best investment is, incidentally, also one of his cheapest. Teyu is currently reading Outliers by Malcolm Gladwell and plans to tackle Edward de Bono’s Lateral Thinking next. A particularly poignant book he completed recently was Machine, Platform, Crowd, by Andrew McAfee and Erik Brynjolfsson, which discusses some of the latest trends in disruptive technologies. Another book which is a recommended reading and inspired Teyu in his management style is Built to Last, by Jim Collins and Jerry I. Porras, which studied the successes of a number of visionary companies, including 3M and American Express. So why does he enjoy reading and encouraging others to do the same? “When everyone studies the same textbook, why does one person get a better score than others? It could be their innate nature, but behind the success there could also be a lot of additional hard work,” he explains. Where does Teyu see Phillip Futures in the next 35 years? Teyu points out that the group has been laying the foundation of the company in its first 35 years, by adding more trading platforms and catering to more diverse client segments. The group continues to expand on its business scope, to include physical commodities like coffee, in order to continue to provide for its customers’ needs. Within this year, things are already changing for the company. 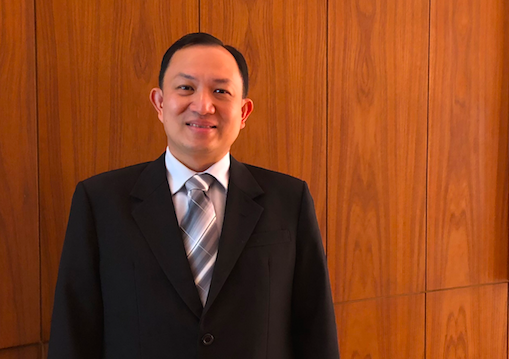 Phillip Futures was one of the first clearing members of Singapore’s third commodities exchange, Asia Pacific Exchange (APEX) which started trading in May. The first two commodities exchanges are Singapore Exchange (SGX), and Intercontinental Exchange (ICE). Phillip Futures has also joined the two Chinese exchanges that are undergoing internationalization, which allows the participation from foreign investors. The two exchanges are namely Shanghai International Energy Exchange (INE) and the Dalian Commodities Exchange. Teyu believes China will be the next growth area for the group as the two exchanges, and others, continue to open up to international trade. In fact, with all the changes that are happening now, he expects Phillip Futures to be vastly different from what it is today in the next 35 years. “We are a company that is still transforming,” Teyu summed up. Gwyneth spent a decade at the reputable business and finance weekly paper 'The Edge Singapore'. She has written extensively on both listed and private firms, in various sectors such as oil and gas, healthcare, banking, logistics, property, and construction. She believes that providing the most well-rounded information to investors is the key to a vibrant and thriving investment and trading ecosystem. What Is Depth Of Market And Why Is It Important For Your FX Trades?